Brylee had her first game tonight! 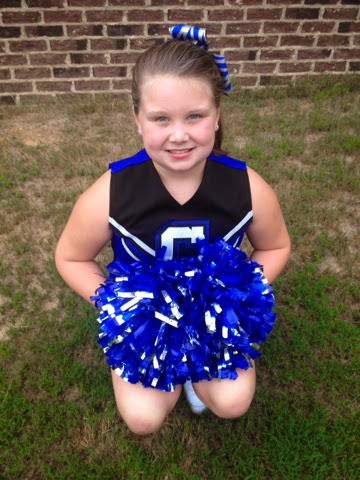 Cheer Sissy Cheer!!! As if we did not get in enough football games this week with one on wed & thur nights... We just "had to go" to the highschool game Friday night! 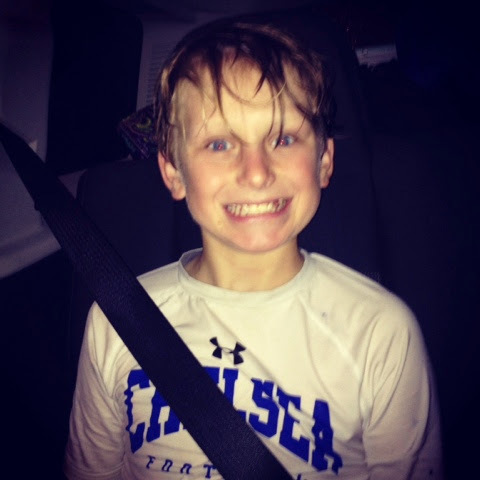 JP is all about supporting the Chelsea Hornets!! One of Richards friends little girl had her first birthday party today! Jackson was playing and holding Liz and she just loved Jackson. 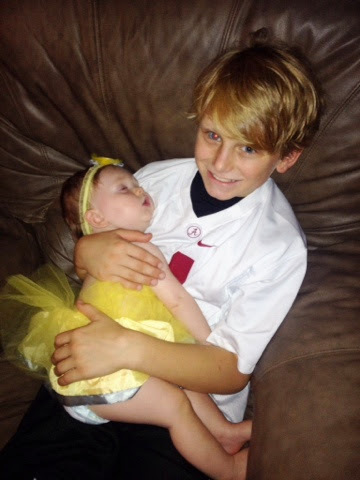 He came and sat down in the chair to watch some of the Alabama game and Liz laid her little head down and was out! JP looked at me and said "umm she is asleep now what do I do? " ha! Don't move buddy just sit there! Ha! ;) JP the baby whisper!!! Sunday, September 7th: My War Eagle Girl!!! 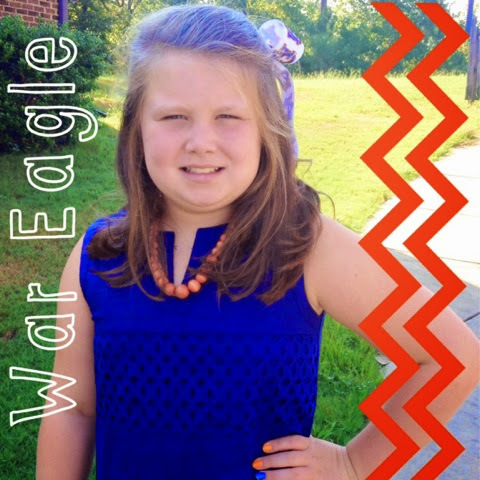 Sunday Brylee wore her colors and supported her Auburn Tigers to church!!! Well our A/C went out last night! Yes I know that sounds lovely right?!?! 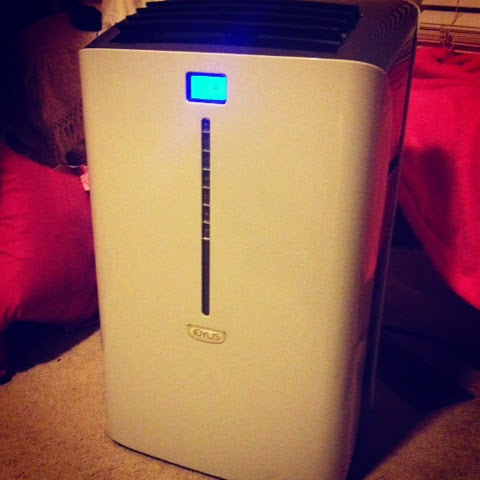 Well thank goodness for this little portable AC unit it is what kept us all cool! We all bunked in our room to stay cool! Thank goodness it was an easy fix and we had air again Tuesday night!!! Thanks to a baseball buddy & my handy daddy husband!!! 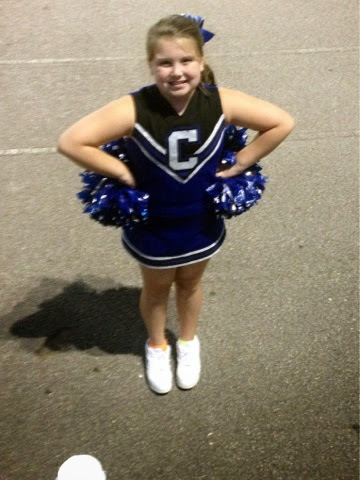 Brylee cheered tonight for her 2nd game! I love when she cheers but I will say I don't love driving to some of these far away games! 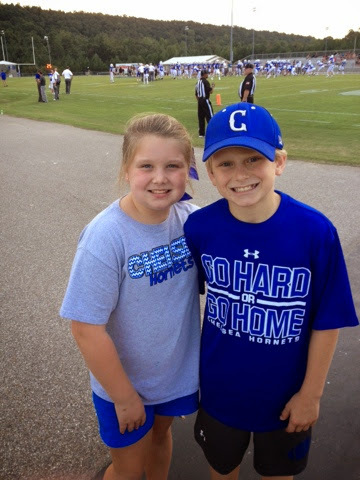 Tonight she played in Hoover which that field was in the back of Lake Cyrus which is close to nothing!!!! Thank goodness that game is out of the way!!! Go Chelsea!! !